Is KGV really a better ship than Monarch? 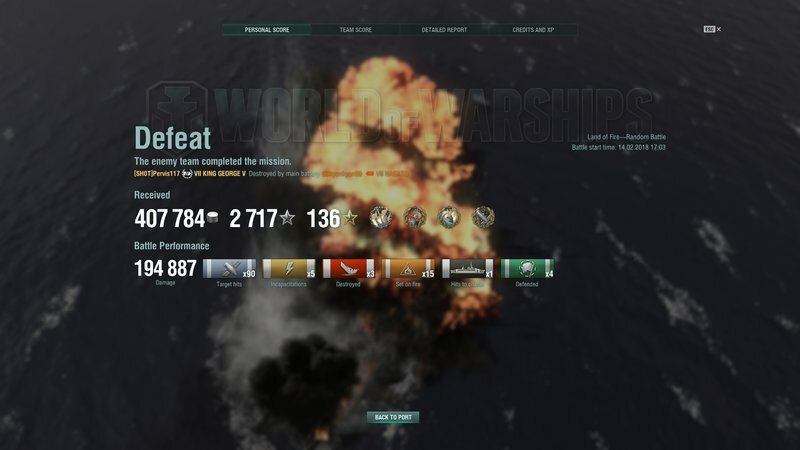 you can farm even more damage firing at those big TX ships. use the spotter plane upgrade and you'll be more than fine. Imo the KGV is stronger than any T8 Battleship, not just the monarch. If you can exploit its strengths and don't have any moral qualms about being an HE spamming BB scumbag its just a bit weaker than the Lion. No, a t8 ship is by no means weaker than the t7 of the same line. But she might feel weaker due to harder MM and opposing ships. You could say... Uncomfortable. Monarch is less a less noticeable boost than you would expect. I would rate it a 15% boost while other get something like 20-33% boost when going up a tier. The 32mm is nice though , you no longer get slam dunked by 16 inches and lower though you do meet yama sushi quite a lot more. 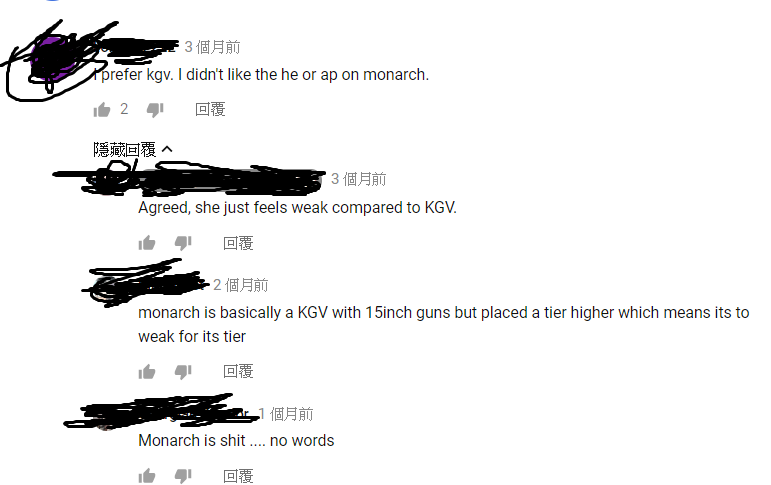 Monarch is meh in its tier while KGV can be good if given time for fire DPS. It pretty does to me. Yes, may be the changes aren't drastic, but even the two you mentioned makes a huge difference. Why do you think Belfast is so feared? Radar isn't anything new in tier 7. That access to the concealment mod is what makes her OP. Examples are everywhere. It is not like gun numbers must double up when you go tier up or you need x amount of boost in HP or whatever, these small side things can make a huge impact when you consider strength. I agree Monarch isn't as strong as the other T8 BBs, but she is better than KGV. Although KGV feels better to play because it is comparatively stronger to the ships it faces, monarch has better AP which is quite capable of dev striking cruisers. Considering how strong some of the other T8 BBs are (I quite like Amagi and Bismarck) she doesn't have to be weak to feel a bit meh compared to those. o yeah? this 'recipe of disaster' has gotten me more wins than lose in my monarch, as far as I can remember. I don't believe monarch is weaker than any other T8 battleships. It's just that its strength is a little bit different than those of the traditional BBs, and it just so happens that this strength is frowned upon by the community in general. Clearly the game is encouraging you not to play T8! My advice is if you don't like a ship, then don't play it. Pretty straightforward really. If it's a ship you have to grind through, then use the best xp camos and flags you have to make the grind as short as possible, then sell the ship when you're done. Am I the only one to enjoy Monarch quite a bit? I never played KGV, but from my experience with T8-10 RN BB, I enjoyed the balanced performance between the shell types more than pure HE spam. 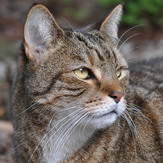 She rewards patience, careful gunnery plotting and good use of concealment. And for not playing KGV, I'd say you missed A LOT of fun...and it is THE main reason for you to say you enjoy Monarch. Why everyone complains about Monarch's accuracy? I have a nice 30% main battery hit ratio on Monarch, and based on data mining, it IS more accurate than Amagi. I would rate a "reasonably reliable" in terms of accuracy. I don't have KGV, but I did make my way through Lion and Conqueror, both of which I preferred a healthy mix of shell types, with AP being the preferred. Being a solo main, IMO my stats on both ships are fairly good. KGV based on ballistic calculations (and my experience with DoY) seem to have quite absolutely shyt AP(lower penetration than some T5 guns, and the caliber means she cannot deal critical salvo against angled T8+ cruisers), which (coupled with the 2nd Anniversary camo) made me skip KGV. well I think its more like perception Bias. KGV were strong at her tier, and T7 were also somewhat have enjoyable matchmaking. I don't think so. The KG-V is easy to make damage since the good HE shell but a 12.2km spotted range and really weak AP shell and spreading makes it can only do limited teamwork exp support DD in a close distance. The Monarch can only be spotted at 10.9km like a cruiser. Think about it. when an enemy DD is spotted you can directly provide gun fire from around 11 km. it's pretty close range to ensure hit accuracy. 380mm HE shell usually can make huge dmg to DD in this distance can then u can disappear easily due to your good detected range. Also, the AP shell of Monarch is better than KG-V it can make pretty good dmg. But this ship u need to often switch HE and AP not just HE spam like KG_V. Anyway, if you don't like teamwork or just like to farm dmg, KGV is better. KGV based on ballistic calculations (and my experience with DoY) seem to have quite absolutely shyt AP(lower penetration than some T5 guns, and the caliber means she cannot deal critical salvo against angled T8+ cruisers), which (coupled with the 2nd Anniversary camo) made me skip KGV. First determine if you're an amoral nihilistic scumbag who wants this server to burn in Hades for all the headaches its caused him. Like myself. If the answer is yes, proceed. 3) enjoy games like the attached screenshot. Stoically accept marginally lower winrate and significantly higher rate of getting reported by the enemy. TFW when you'd much rather face T9 ships than T5 ships in the KGV.